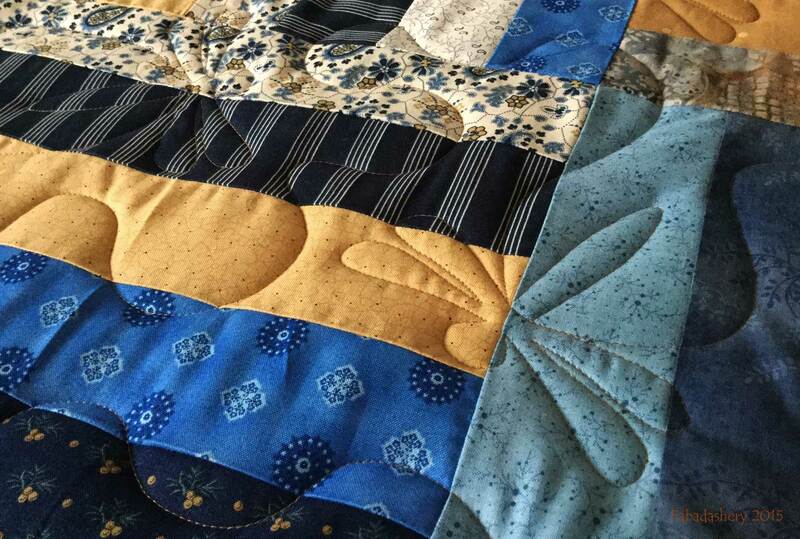 Here is another of Natalie's lovely quilts. It is made from an amazing selection of modern prints which she picked up on a trip of a lifetime to the Quilt Festival in Houston, Texas. 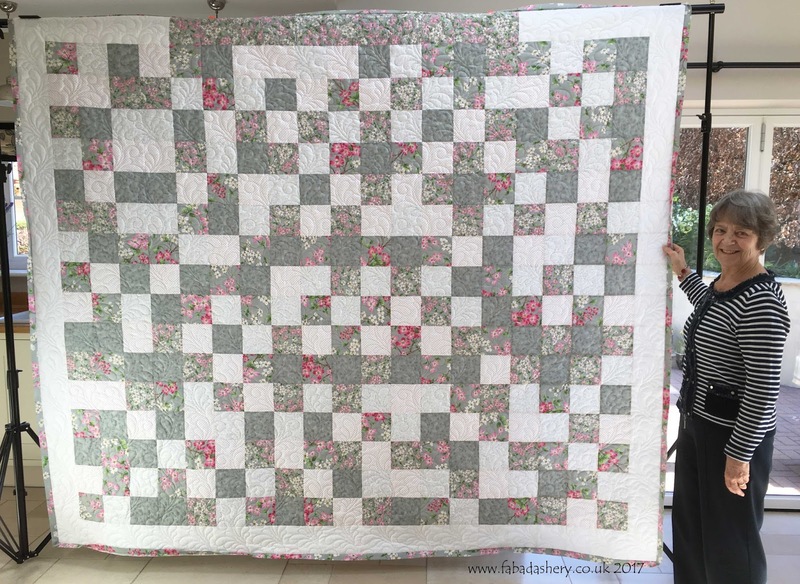 It is such a great quilt that I hope that she has chosen to show this in the Bristol Quilters exhibition coming up this weekend. 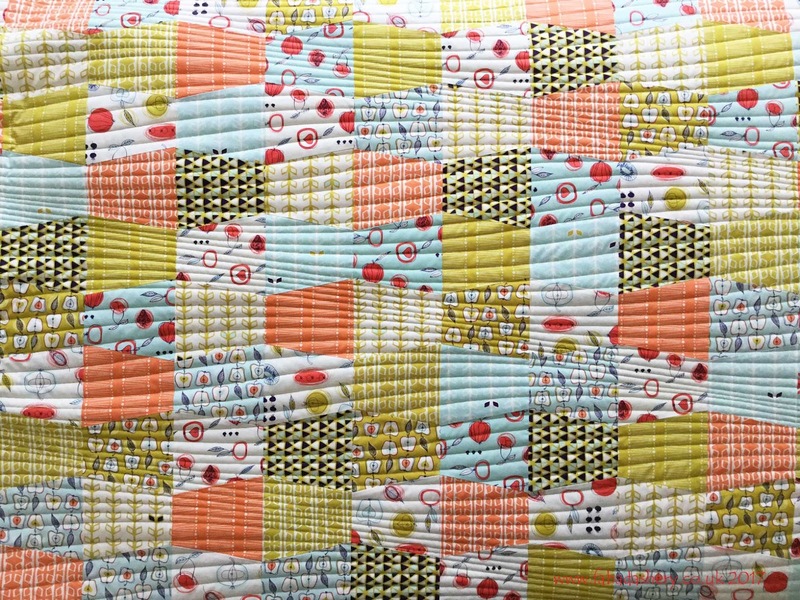 With a modern set of prints, this quilt demanded a modern approach to the quilting. 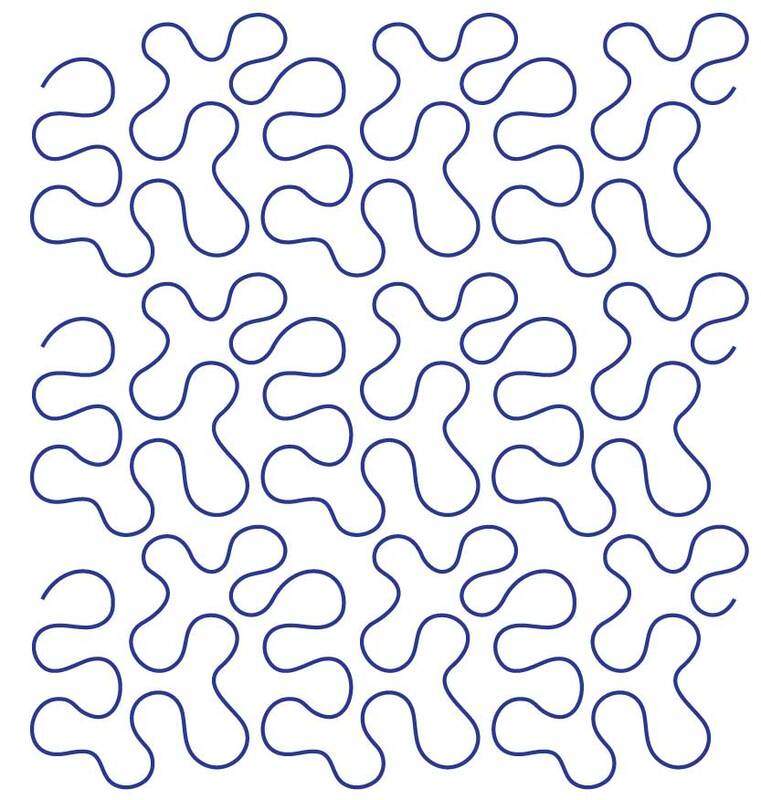 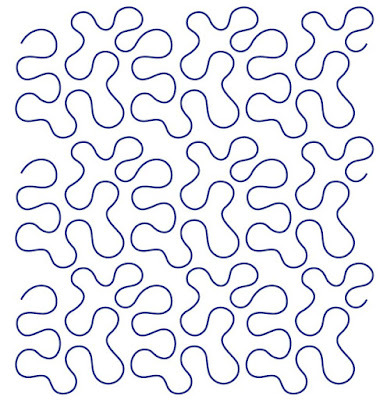 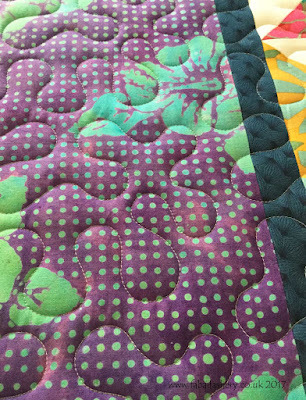 We used a digital quilting design called 'Modern Curves' by Anita Shackleford. 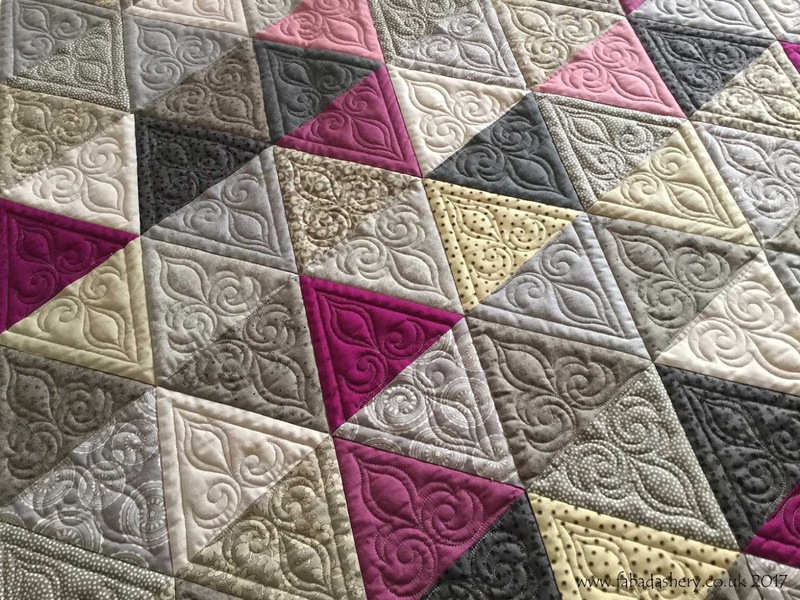 This pattern never fails to make an impact and it looks great on this quilt. As part of the quilting service that I offer, I have a lovely selection of threads to choose from and for this quilt we chose a vibrant green Glide thread called 'Split Pea'. 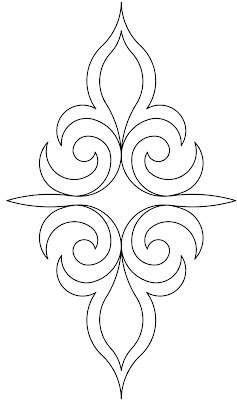 And don't forget the back. 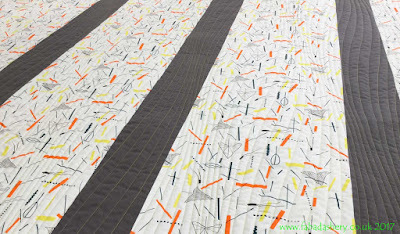 Natalie pieced together some strips of fabric which also looked great with 'Modern Curves' quilting pattern. 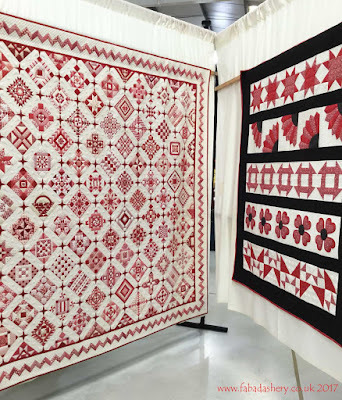 I am so lucky to see so many great quilts! 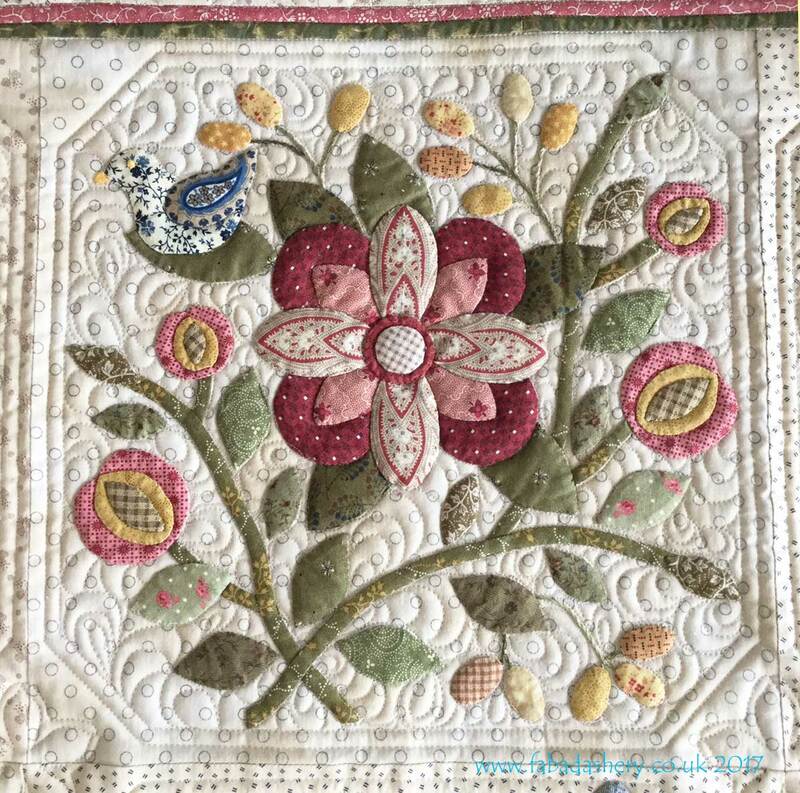 It is exhibition time again. 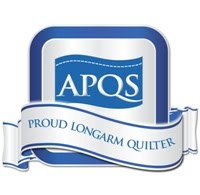 Bristol Quilters will be displaying their quilts at Badminton School, Bristol BS9 3BA between 1st - 3rd June 2017. 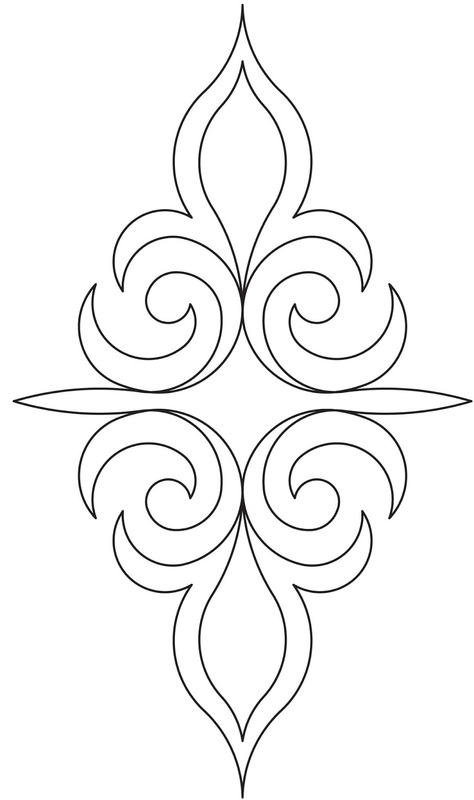 See the details in the flyer above. I understand one of the quilts on display will be this lovely colourful cotton reel quilt made by Natalie. 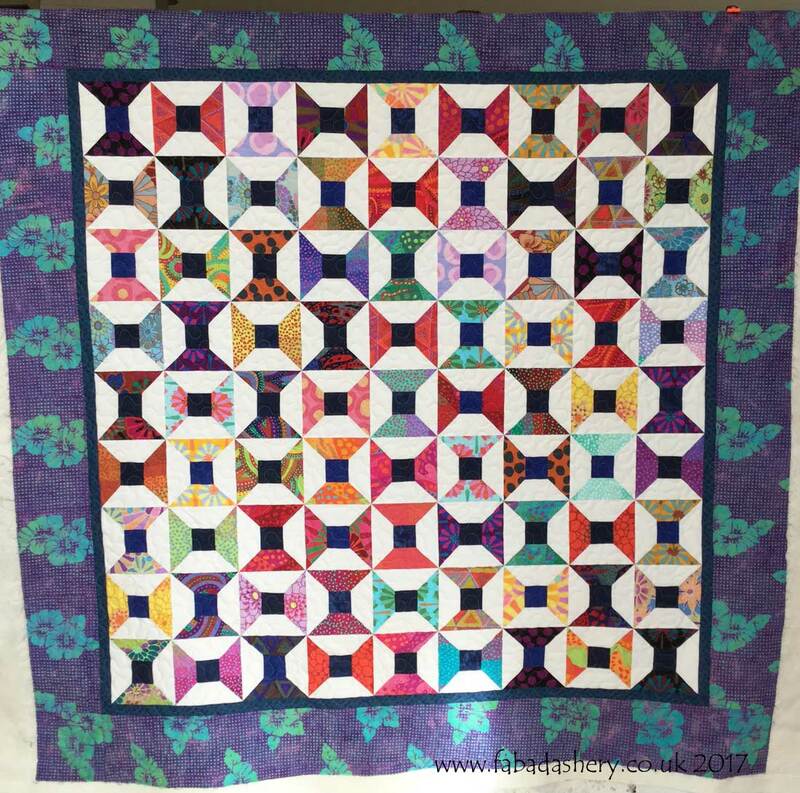 It is made out of a Kaffe Fassett Jelly Roll. 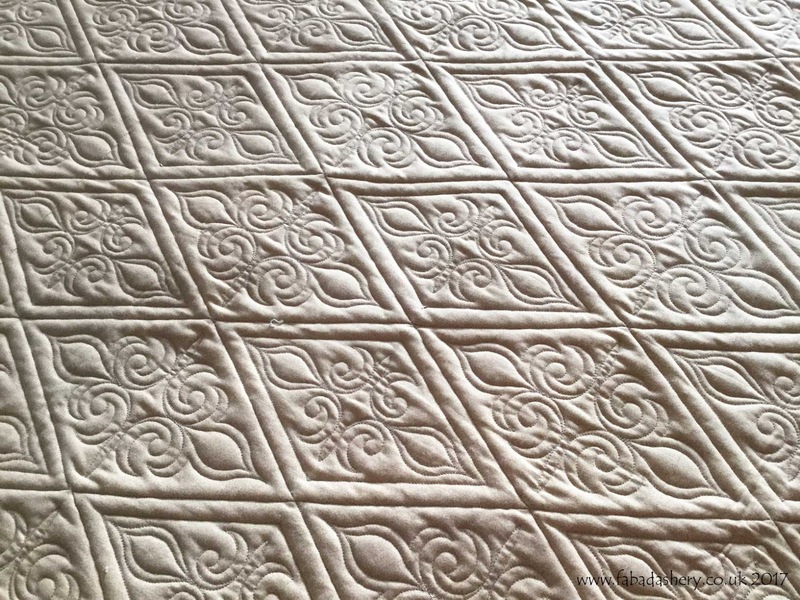 Instead of a white thread, it was quilted with a light grey thread which sits quietly in the shadow of the quilting ditch. 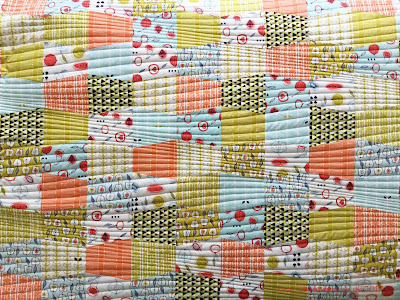 Natalie wanted an all over digital pattern which gave the impression of the cotton reels unravelling, so we went with this simple meander called 'Bam'. It gave a lovely even coverage on the quilt and sometimes simple is the most effective. 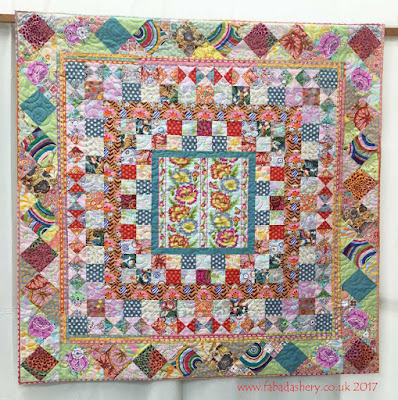 This is one of my own quilts which you will see on display at Quilts UK, Malvern 2017. I have called it 'Referendum' and it is LW09 in the Large Wallhanging category. It had been sitting in my cupboard for quite a while, but I did have a plan of how I wanted to quilt it in my head, but it never managed to elbow its way through the customer quilts I was doing at the time. 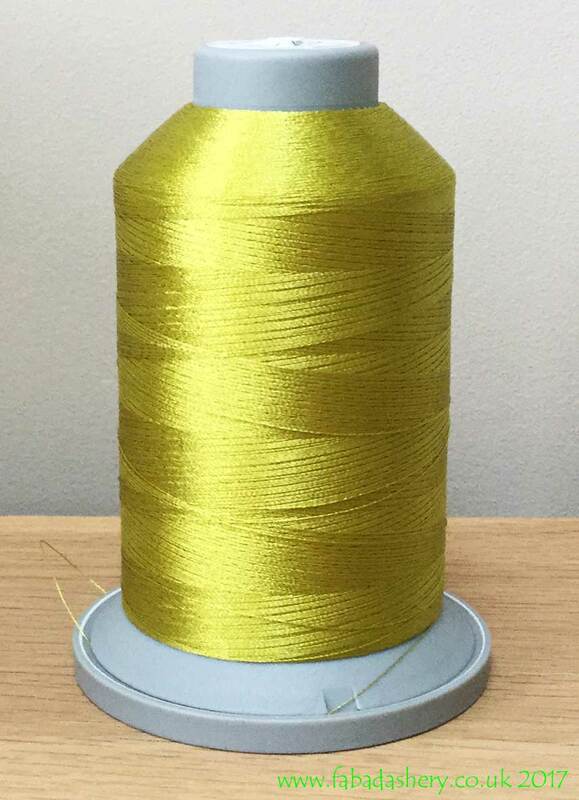 Last year, I stayed up the whole night to watch the results of the Referendum here in the UK. 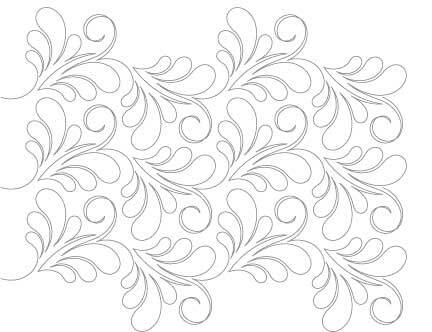 In the week that followed they managed to cram a lot in and it was difficult to pull myself away from the unfolding political events being reported on the television and to concentrate on much else. As they say 'a week is a long time in politics'. 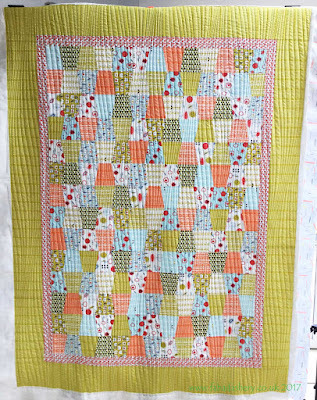 In the end I decided that this quilt was the perfect antidote to it all. 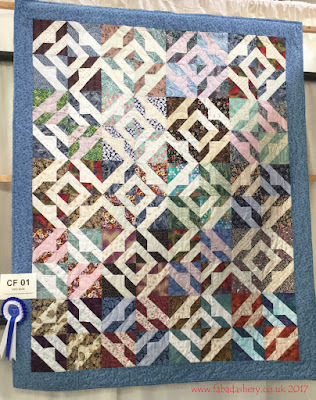 This quilt uses one diamond block pattern, called Camilla Star designed by Donna Klein. 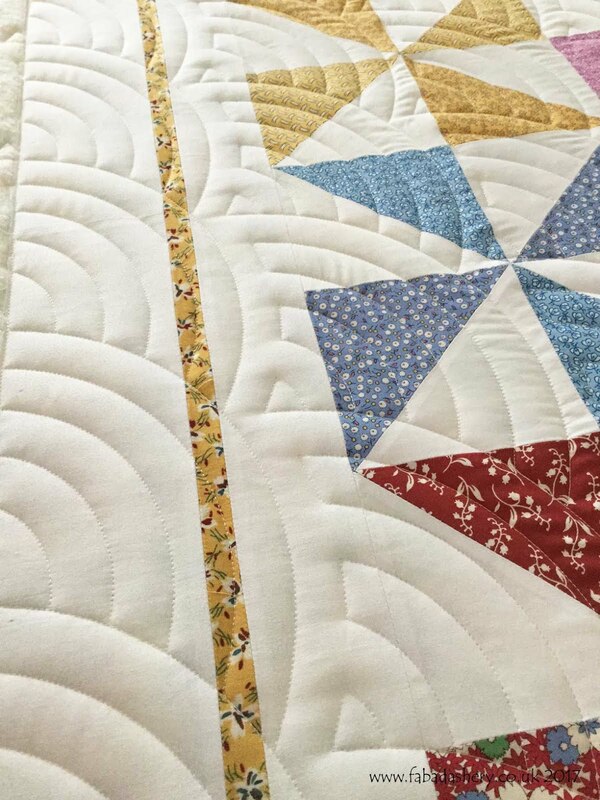 The diagonal lines were stitched in the ditch and each diamond was placed individually, rather than using the computer to do an edge to edge pattern all over the quilt. 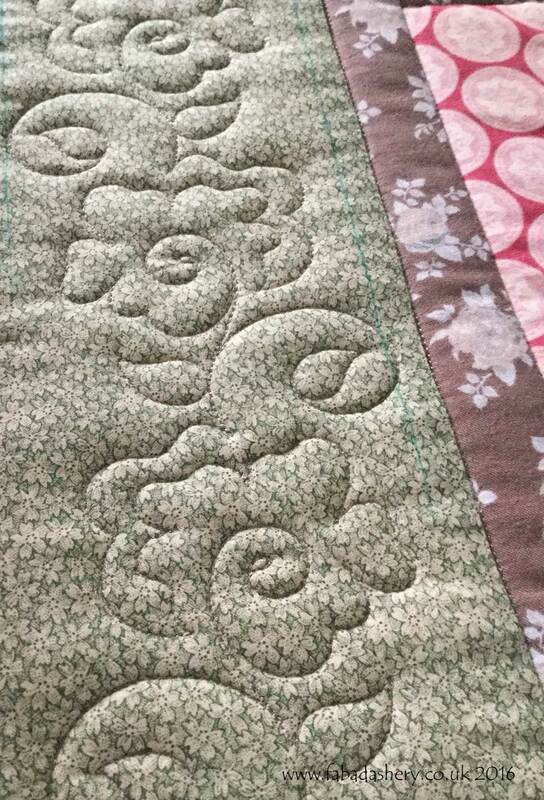 I chose a fairly plain backing fabric so that the quilting pattern shows up nicely on the front and the back. I think it comes under the category 'semi-custom' work. 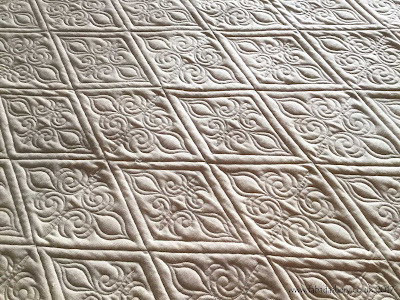 I hope that by showing different techniques on my own quilts my customers can see the potential of what we can be achieved when they bring their quilts to Fabadashery Long Arm quilting. 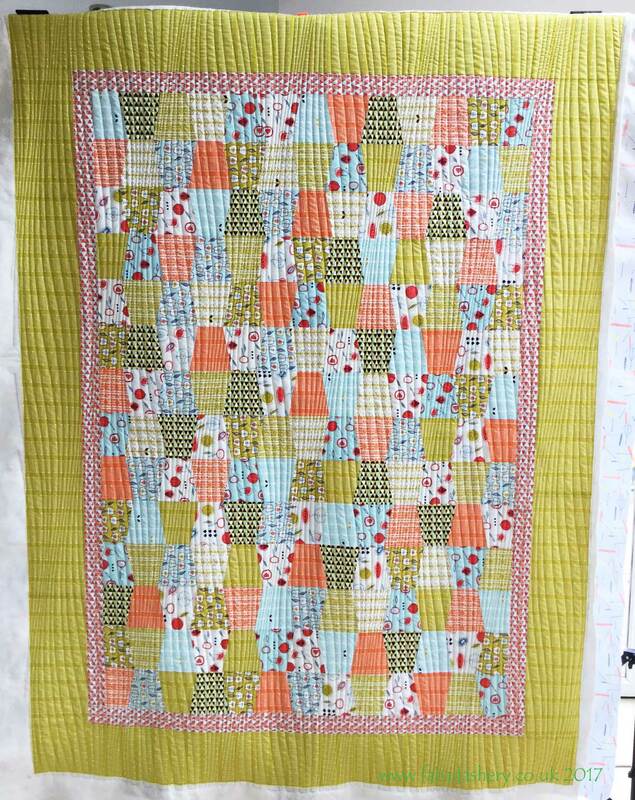 This is Marlene's first quilt. 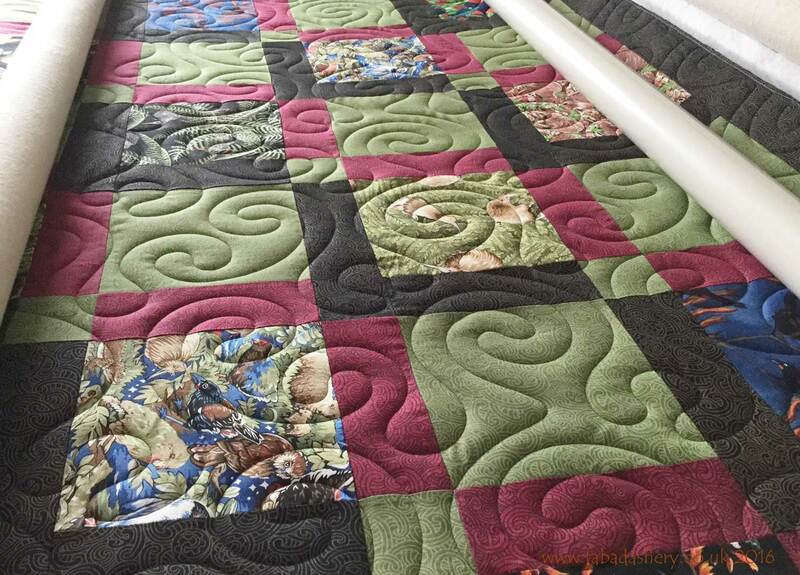 She has pieced it by hand and with such a large project, brought it to Fabadashery Long Arm quilting to be finished. 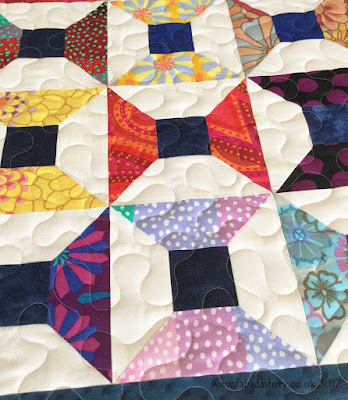 Choosing fabric for your first quilt can be exciting and overwhelming. 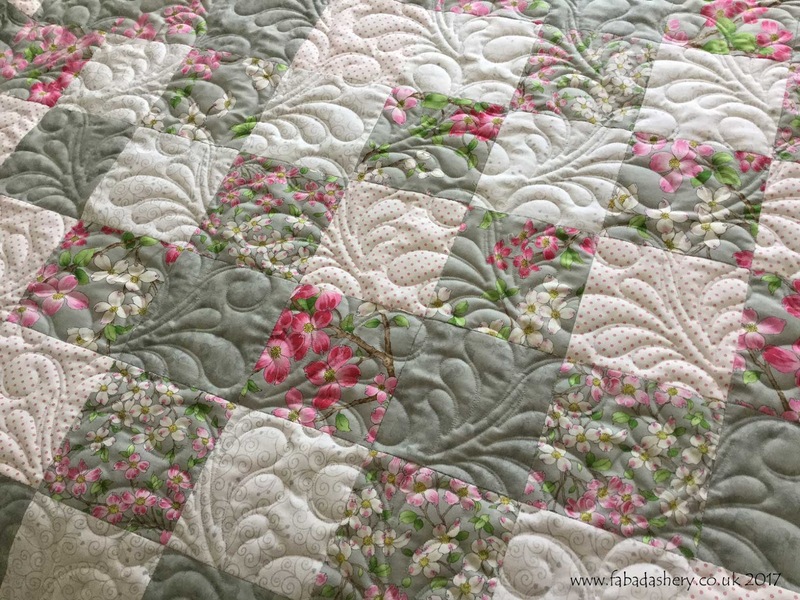 She chose some lovely fabrics from one of the latest Moda collections, Dogwood Trail II, with the help of the ladies at the Patchwork Basket in Newent. 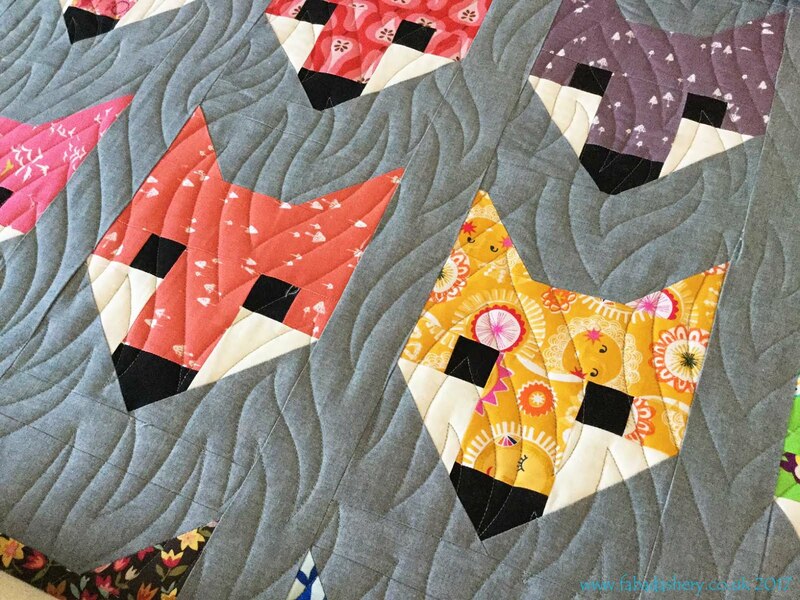 The quilt came together quite quickly and having browsed through some of the quilts I had done for other customers on this blog, she chose the 'Allouette' digital pantograph pattern which completely transformed the quilt top. 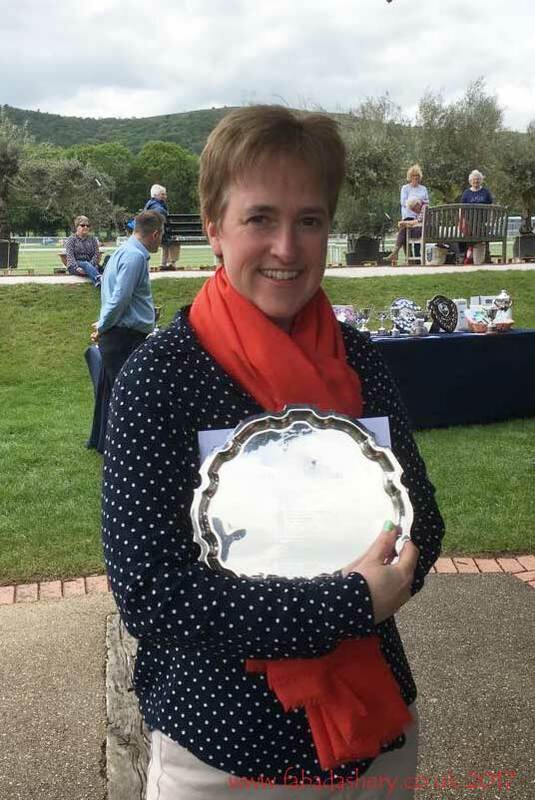 Marlene was over the moon! 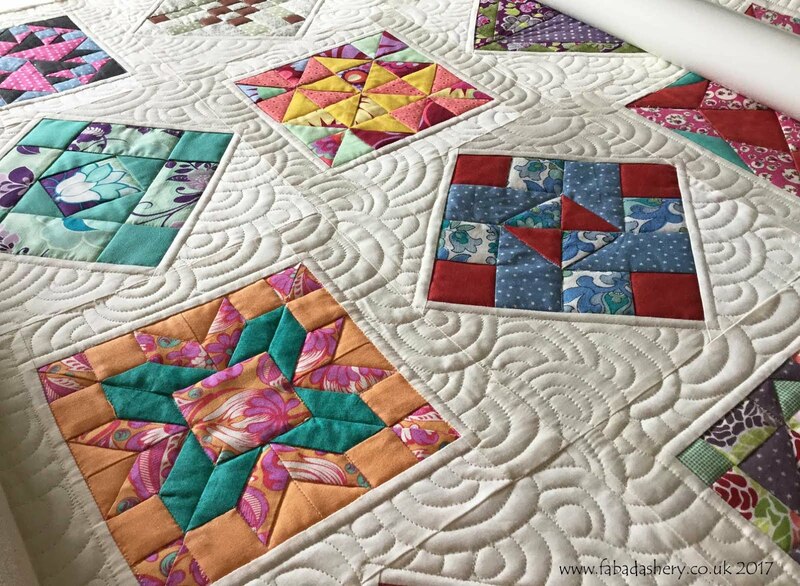 The quilt was 105" x 90", so as well as completing the quilting for this large quilt, Marlene also took advantage of my quilt binding service, where I attach the binding and you have the pleasure of taking the final stitches in your masterpiece.